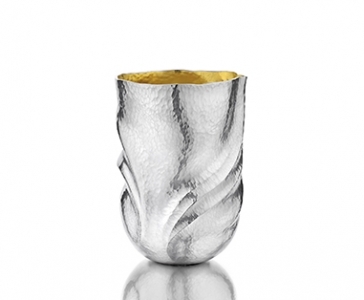 International artist-silversmith Elizabeth Peers draws the inspiration for her unique, feminine forms from the human body. She is often drawn to unusual markings and characteristics and is captured by the playfulness of a curve, crevice or crease. 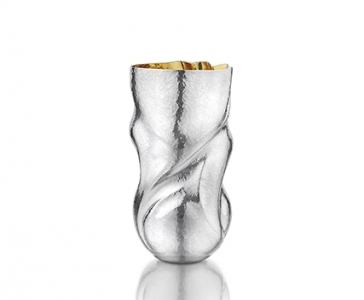 Elizabeth uses chasing and a free-form raising technique to produce these folds, bulges and undulations that are iconic in her work.